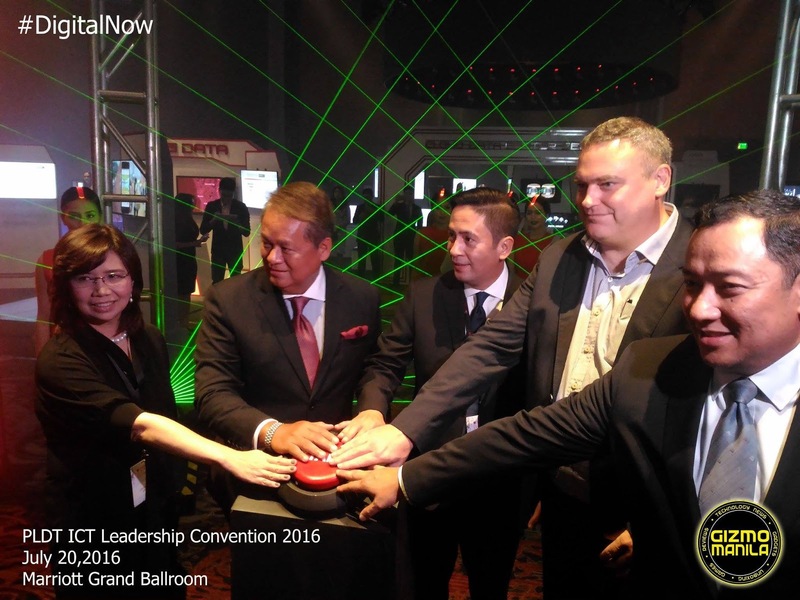 Philippine companies get a chance to take a look this week on how digital technologies are changing the rule of the game for their businesses at the 2016 Philippine ICT Leadership Convention. Hosted by PLDT Enterprise, the corporate business group of PLDT, the convention will run from June 20-21 at the Marriott Grand Ballroom Manila and focus on how disruptive technologies collectively called “SMACS” – (short for Social, Mobility, Analytics, Cloud and Security) are reshaping the strategies of enterprises and organizations. Top level executives, business leaders and decision makers from the country’s leading enterprise across various industries were invited in the convention. More than a thousand attendees today, double the number from last year convention. Aside from presentations by industry leaders and tech experts, the 2 day convention will also allow guest to experience various digital technologies within the enterprise environment through workshops, exhibits and plenary discussions. Attendees can also participate in breakout workshops focused on specific technology tracks that include Data Center and Cloud eco-system, Big Data and Analytics, M2M and IoT, Digital Engagement, Cyber security and Unified Communications and Collaboration. These topics, designed to provide a holistic approach to the benefits of technology tracks to enterprise, enabling participants to understand the solutions better at their disposal, and how these can significantly impact their business.